Paper Therapy: Paper Smooches Pep Rally Blog Hop–You Anchor Me! 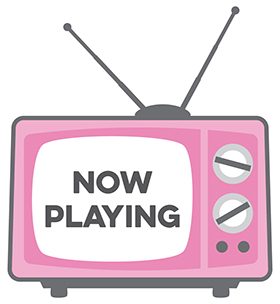 Paper Smooches Pep Rally Blog Hop–You Anchor Me! IF YOU’RE LOOKING FOR MY CAS(E) THIS SKETCH POST, PLEASE SCROLL DOWN TO THE NEXT POST! 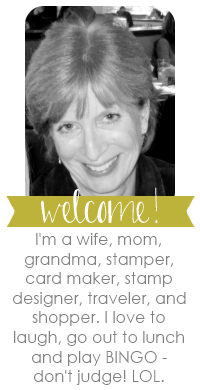 And welcome to the Paper Smooches Pep Rally blog hop! It's Pep Rally week and we are here today to share a sampling of the Paper Smooches April stamp release with you! Six NEW stamps and SIX new dies will be available to purchase at 12:01am, Eastern time on April 1st. You will find them HERE. To add extra fun to our blog hop, we are offering up a prize! 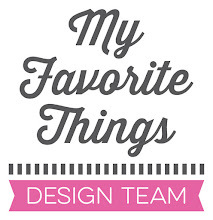 Just leave a comment on any of the eight design team blogs listed below for your chance to win one of our new dies! (You do not need to comment on all blogs to qualify.) You have until midnight MST on Friday, March 29th to leave a comment. Please check all design team blogs on Saturday, March 30th to see if you are one of the lucky winners. 4. Tell us that you posted on your blog about our blog hop. I’m sharing a sneak of one of the new stamp sets called Wicked Nauticool. It has some really great nautical images, as well as coordinating dies. I’ve featured the anchor from the set, as well as one of the sentiments. The sailboat was created using the Sailboat die from last month’s release. Well, that’s it for me kids. 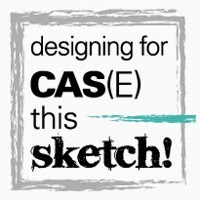 I’ll be back in just a bit to share this week’s CAS(E) This Sketch Challenge. Thanks for stopping by! I love this...I see a new boat in my future! i so love this..that sailboat is too cool...great card.. I want that stamp set! Love your card! I love that sailboat! So cute! This card is so cute!!! Love your nautical Nauticool card! I can't wait to see the other stamps in the set! I posted about this Blog Hop on Facebook. Thanks for the extra entry! I tweeted about the Blog Hop! Thanks for the extra entry! cool card and I love those new dies! I blogged about this hop! I can tell I am going to have a few additions to my wish list! Ok Facebooked - check. Tweeted - check. Posted on my blog - check. Loved this adorable card - check!!! This is a great card for a boy. Neat and crisp. Love a nautical theme--so happy for matching dies, too! Such a fun card, Karolyn. What an adorable card! Love your anchor. Fun card, love stamps with matching dies! Absolutely adorable card...I can't wait to get my hands on these new goodies! Aaaw, so sweet. Made me smile. Very well designed and perfect colors. Gonna have to have this set. love the matching die. sweet card. Your card is awesome! Blogged! Love the name of the stamp set! And also your stitching for the water is too sweet! Very sweet design with the sailboat and great colors!! SUPER cute card!! LOVE the chevron paper with these dies!! LOVE! I can't wait to see the whole wicked nauticool stamp set! You created a lovely card--dies to match, I see! Yippee! Super cute card with the perfect sentiment.Love it! Love this! The sailboat and anchor just work so well together! Christopher Cross has nothing on this one... sorry either you get the reference and wish you did not or you are filling out a restraining order... LOL! Love your card! Perfect background paper for these bold images! Another awesome card! Thanks for sharing! I love your card! The sailboat is wonderful! So cute! Love the boat die! I super love that sailboat...such a fun card! We have a place at the Lake so I could use this stamp set a lot. Great card. Love the nautical theme and the chevron background. I have loved every card I've seen made with this new boat die and I am so amazed by how different and varied they've been. Sweet! Wow! I love this card. I'm excited about the nauticool set. Thanks for sharing. Love the nautical colours and chevron "waves" and the fact that you ANCHORED your anchor! What a cute way to use the anchor. Love it! Yay! Pep rally week! Can you see my pom poms shaking as I give a loud cheer for the new releases? i'm gonna have to have that die and stamp set! Your card's nautical theme is so cool! Love this boat! Cute card! Tweeted about the blog hop! Wonderful nautical card...love the sentiment! Loving these dies, love how bold this card is and the great pop of orange. Great card! Love the chevron "wave". And what a great name for a stamp set! Nice card, I like the contrast of the solid boat against the chevron background. Adorable sailboat! Love the colors of your card. Great job! This card is perfect for a boy card. Love it! I post this blog hop on my blog sidebar! Blue nautical, really nice man/boy card. so cute! love the anchor! Such a cute card. Love that sailboat die and anchor. Thanks for sharing. Love your card! The chevron background is so fun for a nautical themed card! Fabulous sentiment and sweet card creativity ... LOVE the anchor!!! Cute card to showcase a cute set! So excited about the new releases - my wish list keeps expanding! Thank you for sharing! Love your card! Great color combo! Easter blessings! Love this card!!! I can't tell this stamp set will be one of my faves!! Like how you kept the images solid colors with that cute chevron PP. So glad Paper Smooches has jumped on the die-wagon. Love the anchor. Thanks for a cute card. Fab card looks like this set will be good for male cards too! Love how you paired the blue with a pop of orange, and then stitched the water waves - so fun & cheery! TFS! I posted on Facebook about this bloghop.